Superior House Clearance Services Kidderminster is a family run business based in Worcestershire. We have a vast range of commercial and private clients and a great deal of our work is based on referrals and recommendations. Superior House Clearance are located on the outskirts of Kidderminster, which means we are well placed to service the needs and requirements of Home owners and Businesses throughout Worcestershire and across the West Midlands, South Staffordshire and Shropshire. Our prices are very competitive and we at Superior House Clearance offer a prompt, courteous and reliable service. We provide a quick and hassle free clearance service making sure the task is problem free. The company has many years in house clearance and rubbish removal; therefore pride ourselves on excellence, as our name suggests Superior. 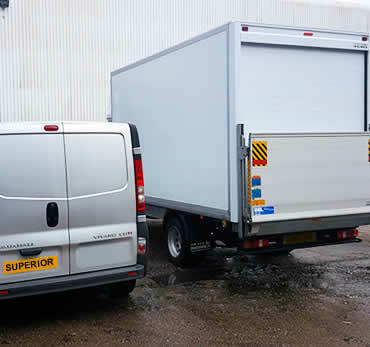 We can also provide an End Of Tenancy clean up and removal services for Tenants, Landlords and Estate Agents, using discreet unbranded vehicles where required. The company is fully insured and registered with the Environmental Agency as a waste carrier along with many other local government bodies such as Sandwell Councils Tradewell trade register, which is vetted by Trading Standards. We can provide a consultation service to provide solutions to more complex jobs.